Back in October 2012 at the Tate Modern art gallery, Wlodzimierz Umaniec, an art blogger, vandalised the iconic Rothko painting ‘Black on Maroon’. 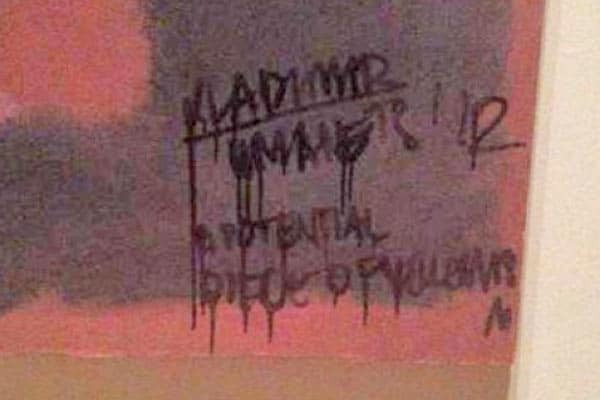 Witnesses were astonished as he climbed over the gallery’s rope and painted graffiti onto the painting spelling out “A Potential Piece of Yellowism” before signing his name in the bottom right hand corner. Yellowism is the name of his blog. Umaniec was sentenced to 2 years in prison and the Tate Modern conservators and restorers were set the challenge of trying to restore this very special painting. The graffiti paint was designed for that very purpose, to graffiti, which meant it dried quickly, was very black and very permanent. To begin with, the team entrusted with the Rothko painting didn’t know whether they’d even be able to restore it. The problem was that the paint had soaked through most of the layers on the painting and in some places, all the way through to the canvas. How were they going to remove the paint without removing Rothko’s painting? After analysing the painting under a microscope, they began by mocking up test canvases. This allowed them to test different theories and experiment with the solvents without damaging the actual painting. 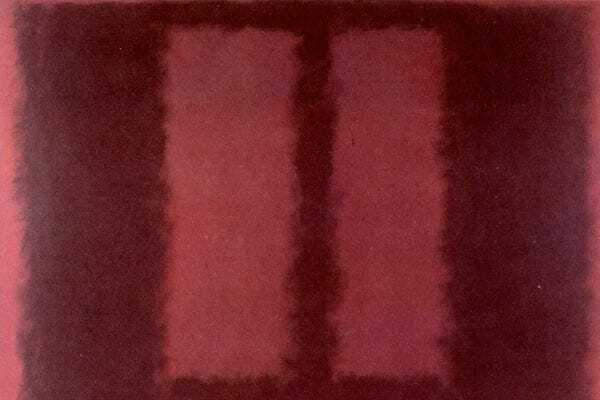 They artificially aged the canvases to mirror the condition of the original painting and Rothko’s family even donated a canvas he had painted in maroon paint at the same time for them to trial their theories. After 9 months of tiring work trying to perfect their strategy for the Rothko painting they started work on restoring it. It took them a further 9 months to restore the whole painting and whilst they did manage to take some of Wlodzimierz Umaniec’s paint out, they did have to do some over painting to return the look of the painting back to what it was. The results on Rothko’s work were pretty good. 18 months of restoration and £200,000 later, the several million pound painting is back on the wall of the Tate Modern art gallery for all to see.